Philadelphia Youth Orchestra, one of the most well-recognized youth orchestras in the nation, provides the region's most advanced instrumental music students with unparalleled training and performance opportunities under the direction of Maestro Louis Scaglione, one of the leading youth orchestra conductors in the country. In addition to the opportunity to showcase their talents through high-profile radio broadcasts and live performances, members learn character-building life skills and supplement their collegiate and conservatory applications, making them strong candidates for acceptance into the most prestigious universities and conservatories around the world. The opportunity for students to participate in the premiere student youth orchestra in the tri-state region, and one of the most well-recognized youth orchestras in the nation. 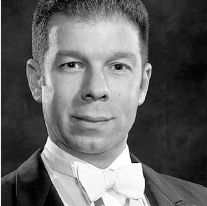 The opportunity to work with Maestro Louis Scaglione, one of the leading youth orchestra conductors in the country with nearly 25 years of music teaching, conducting, and coaching experience. Unparalleled instruction and performance opportunities to the region's most advanced instrumental music students. A level of training that is unmatched across the country, and a degree of professionalism equal to that of many established orchestras. Access to learning and performing advanced orchestral literature. Advanced orchestral training through master class sectional rehearsals with members of The Philadelphia Orchestra. The opportunity for students to showcase their collective talents several times per year in Verizon Hall at The Kimmel Center for the Performing Arts, one of the world’s great concert halls and the home of The Philadelphia Orchestra. Concert program broadcast opportunities through its partnership with WRTI-FM radio. The opportunity to work with nationally and internationally recognized vocalists, internationally recognized professional concertists, and the region’s most celebrated choirs. A platform for students to enhance and supplement their collegiate and conservatory applications, as most PYO graduates are strong candidates nationally and are accepted into the most prestigious universities and conservatories around the world. An invaluable investment in a student’s future through the teaching of perseverance, responsibility, diligence, and excellence — all lessons that have an invaluable impact on the student’s character and future success.